It was not that long ago that I first came into contact with Chichibu. This young distillery has been praised for years by several whisky connoisseurs, but I might have tasted one in a bar somewhere. After I had read a lot about it, I became more and more curious about this brand. And when I had the choice to go to a Chichibu tasting at Maltstock, it seemed like a great opportunity to get acquainted. At that tasting I tried several single casks and I really enjoyed all of them. All quite young, but what quality. This is something else, I thought. 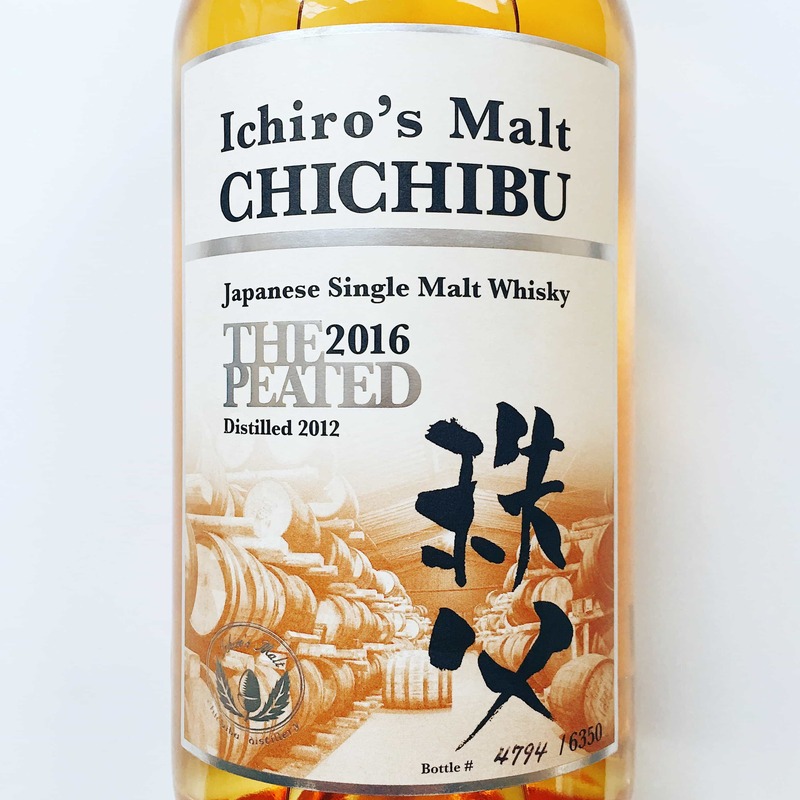 After this tasting, I also tried the Chichibu peated 2016, another fine one which is also reviewed on Malt by Mark. This small and still young Japanese distillery started with distillation in 2008, and is known for their quality whisky. They don’t want to make balanced, easy to drink whiskies, Yumi Yoshikawa (brand ambassador) once said in the Guardian and they don’t see themselves as competitors of the big famous brands like Nikka and Suntory. As far as I’m concerned, this is a nice ambition of this small distillery, which does not even have its own website. But they do well, very well. And quickly make a name all over the world – that’s in my opinion completely justified! Anyway, today on the menu is the Chichibu Chibidaru, the 2014 edition. Chibidaru, which literally means ‘cute casks’ in Japanese, is a whisky that has matured in quarter casks. And not just any quarter casks… These were originally hogsheads, but those are shortened to, you guessed it, quarter casks. And have now a volume of about 150 litres. It is only 4 years old, but Chichibu proved many times that they can deliver good quality whiskies at a young age. Bottled at 53,5% ABV. Now let’s see what this youngster has to offer. On the nose: Oh nice! Nectarines and a hint of fresh sweet orange juice. Some floral tones here as well. Then nutmeg mixed with vanilla sweetness. Followed by more fruits like pineapple and pink grapefruit. In the mouth: Really really enjoyable, quite a thick mouthfeel and syrupy. A hint of rosehip. The pineapple and grapefruit are here again. And also some floral tones, almost potpourri like. The finish is mid-long to long with again the floral tones, but also a few spices and a slightly bitter edge from the grapefruit. Yep, this is the good stuff alright. I love how this whisky develops. How the floral tones combine so well with the fruity tones, and the grapefruit that gives it just that little bit of bitterness and prevents it from becoming too sweet. No nonsense, but just good quality whisky, even at an age of 4 years old. I think many distilleries can take an example here. Definitely a distillery that is close to my heart. Noortje is a Dutch whisky blogger with a wide interest in all things whisky. She travels to Scotland regurlarly and loves to share a dram (or two) with friends. You might know her from Instagram or her own website Whiskylifestyle.